Bishop Osadolor Ochei seeking an order of mandamus compelling the Economic and Financial Crimes Commission (EFCC) to arrest and commence criminal proceedings against Oshiomhole over allegations of financial fraud. The Judge, who also ordered that the anti-graft agency is also served with the court process, stressed that the service be done within five days from October 9, 2018, when the order was made. Bishop Ochei’s counsel, Dr. West-Idahosa while arguing a motion ex-parte filed in Suit No FHC/ABJ/CS/628/ 2018 urged the Court to allow Oshiomhole and the EFCC, who are the respondents in the suit to file a reply to the weighty allegations made against them by the Applicant in support of the Federal Government’s anti-corruption fight. 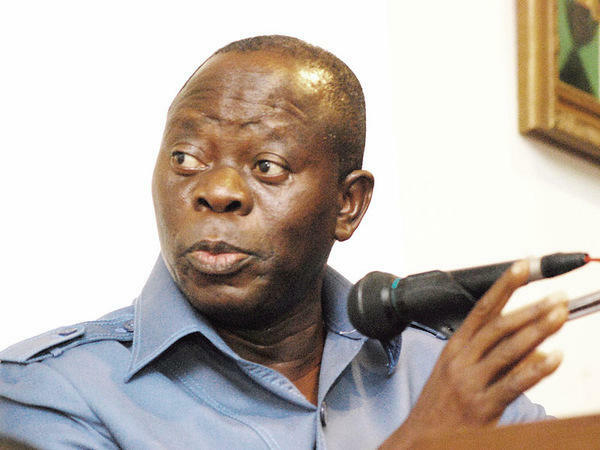 He said he has severally complained to the EFCC about an allegation of corrupt practices against Oshiomhole without eliciting any response or interest by the commission.